Hmmm. I notice that it is almost exactly a year since I posted on here, which means that it is also a year since I last went out looking for badgers. I really need to get out more. In fact, the circumstances are similar in many ways. Last year, I took advantage of Mrs BWM and Scarlett taking a trip to Ireland. This year they are both on a trip to Disneyland Paris. While they are meeting the mouse, my time is my own for a few days. Which has meant catching up with chores in the house and garden. But this evening, like Mole in Wind in the Willows, I said “Hang spring-cleaning!”, dug out my badger watching clothes and headed off to the wood. Spring is definitely coming. The first leaves are out in the hedgerows, the lambs are in the fields, the primroses are blooming in the wood. It was even sunny, although with a chill wind. The wood hadn’t changed much in a year, a few more of the dead ash trees blown down, and there were good signs of badgers at the main sett. There were fresh spoil heaps at both the east and west ends, and one of the fallen trees was covered in claw marks where the badgers have obviously used it as a ‘play tree’. Badgers do seem to love climbing on and over trees – perhaps they have some of the instincts of their pine marten cousins. I climbed my usual tree (perhaps tree climbing is a universal mammal urge) and settled down to wait. I’ve said it before, but it is rare to get time to just sit and think these days. 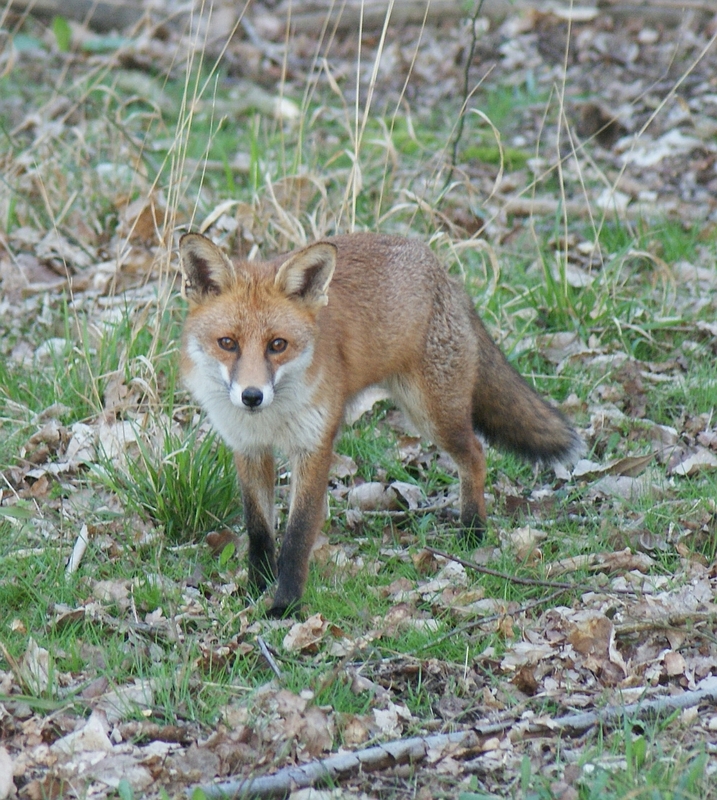 At 6.30 there was a movement in the undergrowth – not a badger, but a fox. 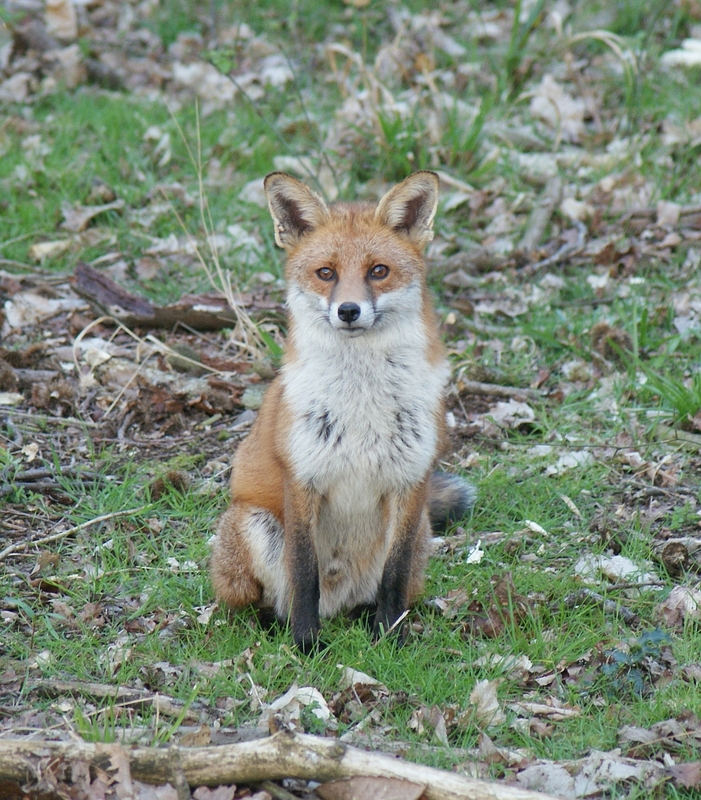 Foxes aren’t very common around here, certainly not so common as they were when I lived in London, and as long as they aren’t after my chickens I like to see them. A few years ago a fox reared a litter of cubs in an unused part of the sett, but this fox (a dog fox) seemed to be just passing through. After another half hour, more sounds of stealthy movement. 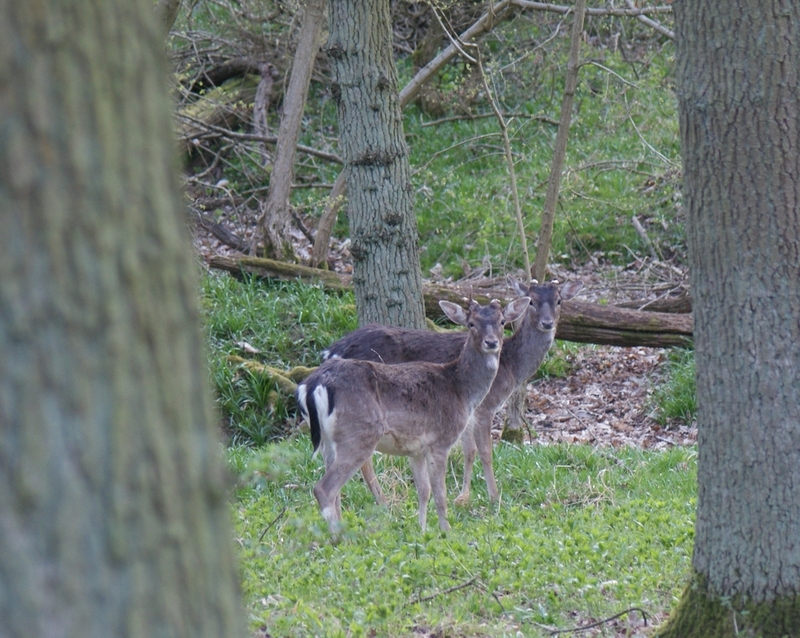 This time it was a herd of fallow deer. We have a few of these deer in the area – I used to see their tracks regularly, but again it isn’t common to see them. There were six of them, three young and three older, and a mix of males and females judging by the antlers (or rather the antler buds). I wonder if they were a family group, as they were all quite dark coloured. Fallow deer can be any colour from dark brown through light brown with spots to white all over. These were all the same dark colour. They slowly grazed their way past, a couple of the males occasionally playing at butting antlers, despite not having any. 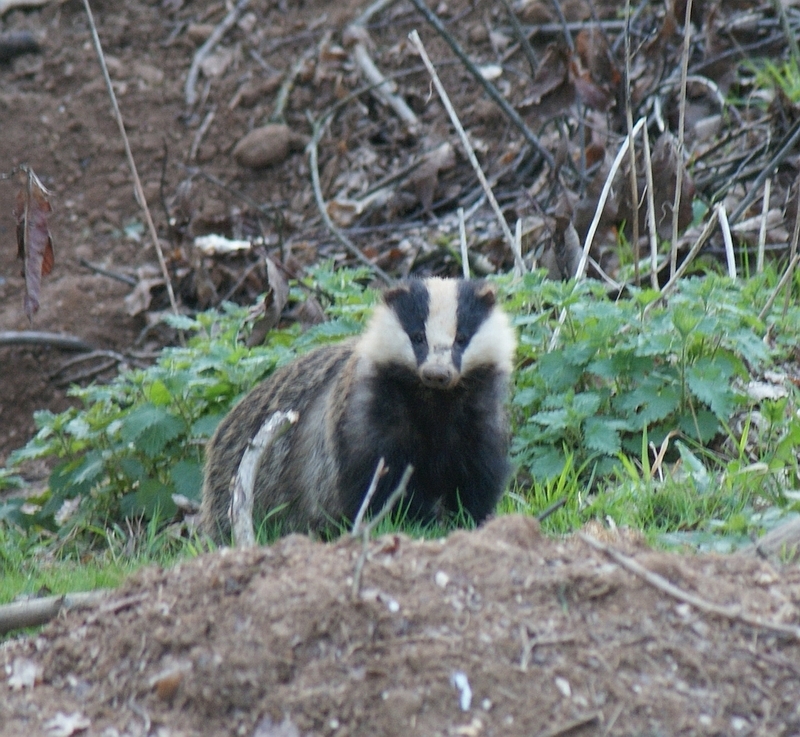 And then, at 7.50, a badger emerged at the west end of the sett and sat down for a good scratch before wandering off. By now it was getting too dark for photos (as well as a bit chilly). I waited for another 20 minutes to see if any more came out, but none did. Judging by the signs the east end of the sett is well occupied, so presumably they came out after I had left. Miss you posts, Mr. BWM! Hope all is well with you.